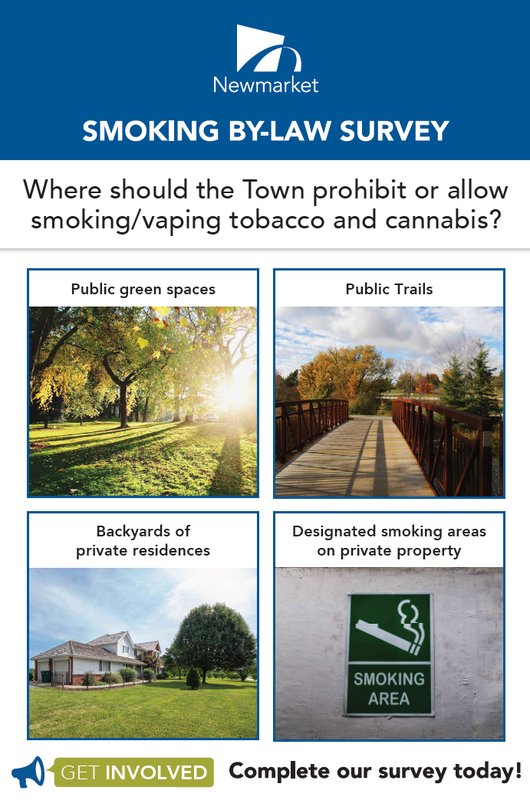 The Town is asking for your feedback on proposed regulations for smoking and vaping tobacco and cannabis (also known as marijuana) in public and private places. The online survey is now open. The Town will also contact residents via telephone to seek their feedback. The online survey will close on April 30, 2019.